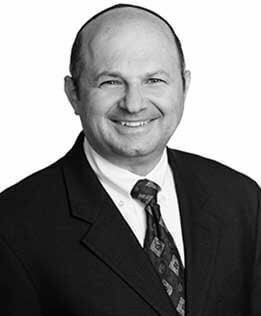 Ira Nikelsberg brings a decade of prior experience as a bankruptcy and litigation attorney and a background in the technology sector to play a central role in handling high profile bankruptcy cases and complex matters for GCG. Ira Nikelsberg brings a decade of prior experience as a bankruptcy and litigation attorney and a background in the technology sector to play a central role in handling high profile bankruptcy cases and complex matters for GCG. His most recent cases include American Apparel, Inc., et al. and AMR Corporation, et al. (American Airlines), within which he has been involved in every aspect of the administration from noticing to distribution. Mr. Nikelsberg’s focused interest and experience in data management and analysis play a critical role in many bankruptcy matters. In particular, Mr. Nikelsberg has developed innovative processes to increase the efficient handling and reporting of data which are widely used within GCG. American Apparel, Inc., et al. TBS Shipping Services Inc., et al. TerreStar Networks Inc., et al.